Getting the hang of this parenting lark can be super tricky when you’re new to the game. Not only are you trying to figure out why your baby is crying and how to survive when you’re in the throes of sleep deprivation, then there are all those baby products, gadgets and accessories to get a handle on. We get it, sometimes following the instructions seems a step too many when you’re trying to read with blurry, sleepy eyes but when it comes to certain baby products, it can be really dangerous to use it incorrectly. We have compiled a list of the products that are most commonly used incorrectly by parents and how you can remedy it ASAP. A cute little seat designed for babies who aren’t able to sit in a high chair yet, the Bumbo supports your baby and allows them to sit contained in one spot – which can be really helpful for feeding if they’ve started solids. Despite clear warnings from the manufacturers (plus a product rename and the more recent inclusion of a restraint strap), parents regularly use it incorrectly. Leaving babies unattended while in the Bumbo, placing it on a raised surfaced such as a table or bed, not using the straps, and using it in the shower, are the most common misuses. All are dangerous and can result in falls, injuries and even drowning. Correct Bumbo use: Always follow the instructions, don’t use it until your baby can hold their head up on their own, always use the strap, never leave them unsupervised and never place it on a raised surface or in or near water. It should also never be used as a booster seat, car seat, high chair or carrier. Perhaps the trickiest accessory of them all, baby car seats and capsules often leave parents bewildered, even if they think they’ve got it right. The most common mistakes are incorrect installation, not buckling the car seat into the car, not adjusting the straps to ensure they aren’t too loose or tight, not buckling your baby into the car seat properly, and turning the capsule to be front facing too soon. In all instances, when a baby car seat is not used correctly it can be extremely dangerous and put their life at risk in the event of an accident. Correct baby car seat use: Always follow the instructions, if you are unsure get it installed for you by an expert, check straps are buckled securely and comfortable at all times, keep the capsule or car seat rear facing until your baby is at least six months old (the most recent research advises to keep it this way for as long as possible – even up to two years), don’t put heavy blankets or toys in the car capsule that could cover their face, and don’t move your baby to a booster seat until they are at least four years old. Sure food gets smeared all over them making cleaning tricky, but high chair straps are there for a reason! You only need to turn your back for a second to grab more finger food, and suddenly they’ve popped up like a Jack-in-the-box and then toppled to the floor. 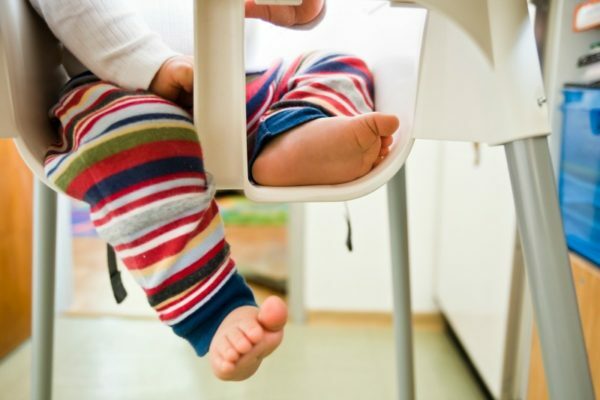 Leaving babies unattended while in high chairs (even when strapped in) can also result in similar falls and even strangulation, as babies can rock the high chair and tip it over. You may not know if they’re choking on something either if you are in another room and not with them. Correct high chair use: Wait until your baby can sit up by themselves (around six months), always buckle them in with the straps, make sure the frame is solid and sturdy, check for loose screws and cracks or tears that could break off, supervise your baby at all times, ensure the tray is secured properly, place it away from hazards like blind cords and windows, and always store it safely out of reach from your baby when not in use. Slings and baby carriers can be a lifesaver if you want to keep bub close and settled while still having the use of your hands so you can get stuff done. But a lot of parents are unsure how to fit it properly, which can result in a lack of support for their back and the baby, plus if their head is not high enough it can be a safety risk. Another common mistake is turning the baby to face outwards when they’re not old enough, which can damage their neck as the muscles aren’t properly developed yet. Correct BabyBjorn use: Always follow the instructions, fit it correctly for yourself and the age of your baby, don’t turn your baby to face outwards until they’re at least five months old, and be careful using it when cooking near a stove, chopping food, or any other activities where the baby’s hands, legs or head might be at risk of injury. New parents end up with so many cute little beanies for their bub that people hand knit or give as gifts and it’s tempting to put them on your baby all the time, particularly if they have no hair yet and it’s winter. But many parents make the mistake of leaving them on at bedtime. 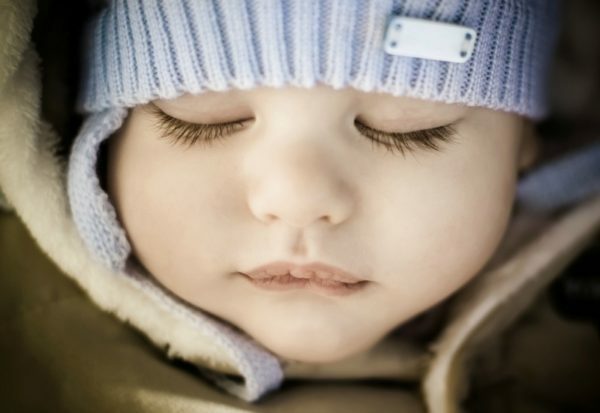 Putting your baby to bed while wearing a beanie or hat puts them at a higher risk of Sudden Infant Death Syndrome (SIDS), because it can cause them to overheat and possibly suffocate if it slips down and covers their face. Correct beanie use: Not to be worn in the cot or bed (sleeping in the pram or car with one on is okay), and not if it’s going to cause them to overheat. Baby monitors allow us to keep an eye and ear out for our little one without having to physically check on them a million times during their nap or at night. However, this doesn’t mean you can go too far away – such as the neighbour’s house for a wine – something many parents are tempted to do. Baby monitors are not babysitters and if something does go wrong you might be too distracted or too far away to help. Most baby monitors aren’t designed to work long distance either, so even if it does seem to work next door, it may cut out at any time without you noticing. Correct baby monitor use: Always follow the instructions, make sure it’s charged and working properly at all times, keep the volume turned up, never go beyond the recommended distance and be sure that the monitor is placed in a position that allows you to accurately hear or see your baby properly (so no obstructions). Did we miss any others? Are you guilty of using a baby accessory incorrectly?